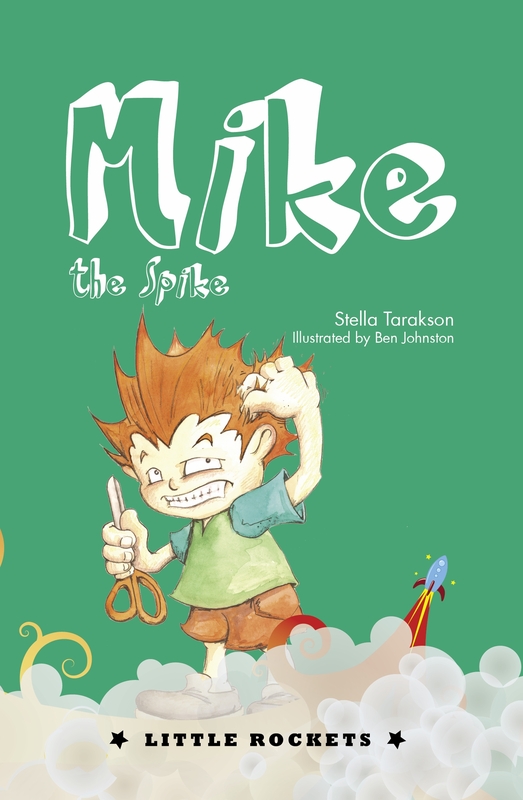 My first junior novel Mike the Spike has just been released by New Frontier Publishing as part of their Little Rockets series. It’s all about head lice and trust and self-reliance and really cool hats! The official launch will be next month, during the school holidays. But in the meantime, I’m running a giveaway competition. For your chance to win a signed copy, please write a comment in the comments box. I’ll pick a name at random and send the winner a signed copy. Let me know if you’d like it dedicated to a particular person. Oh, and be sure to check back on Tuesday next week, when I’ll announce the winner … also in the comments section. I’m also pleased to announce that the popular online parenting magazine, Child, is running a Little Rockets giveaway, three 6-book packs of exciting reads for kids aged 7+. Mike the Spike is among them! To enter, visit their website here. Me, me, me, me, me, me, me, me, me, me, me, me, me, me, me ………. Congratulation on publishing. Best wishes. Bravo! The cover is fun and I’m sure it will be a great read, considering the topic. If I happen to be the happy winner, sign the copy for me since my children are a little too old but their mom still so young! I am very happy for you, Stella, and wish you and Mike a wonderful journey together. Congratulations Stella, best of luck with it! If I am lucky enough to win the signed copy, could I get it made out to Owen and Ruby please? It might be asking for trouble putting both their names on (sharing isn’t either of their strong points at the moment!) but let’s see how we go. Saw the awesome artwork at the course you ran at Jannali. Would love a copy, it sounds such fun! Would love to explore the wonderful story with my seven year old nephew Alexandro’s – it sounds like it touches on issues relevant to all children !! I love your “writers’ group” blog article! Very relevant! ← National Bookshops Day – join our celebration!